If you grew up in 70’s England and watched Bruce Forsythe, you would know that there was ALWAYS a cuddly toy on the conveyer belt. If you didn’t, you won’t know what I am talking about. Anyway, I love these alternatives to the cute and cuddly. 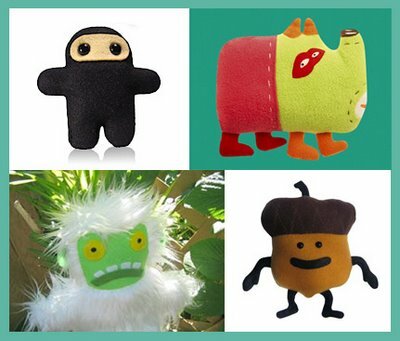 These loveable outsiders are available online directly from the designers, except Pablo who is avaible through Modern Tot.